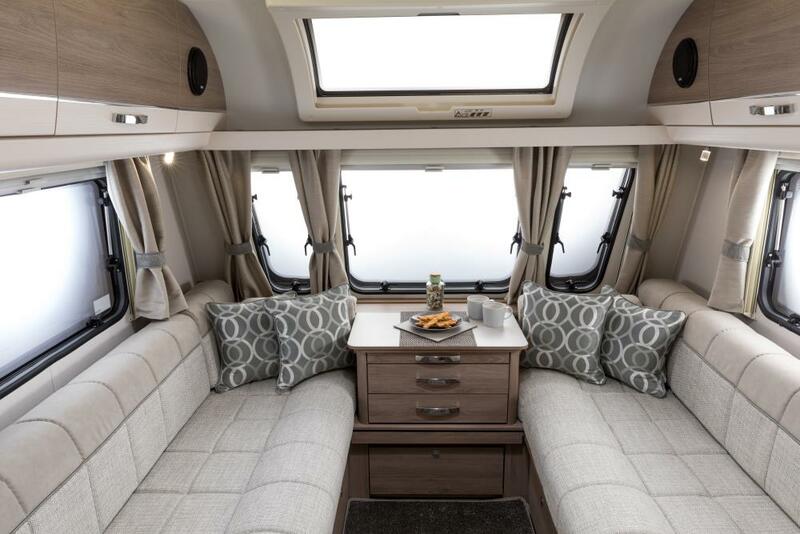 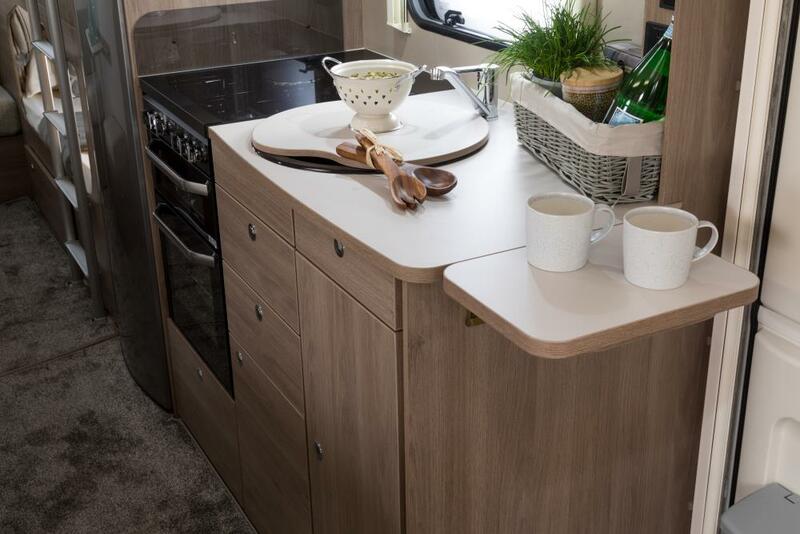 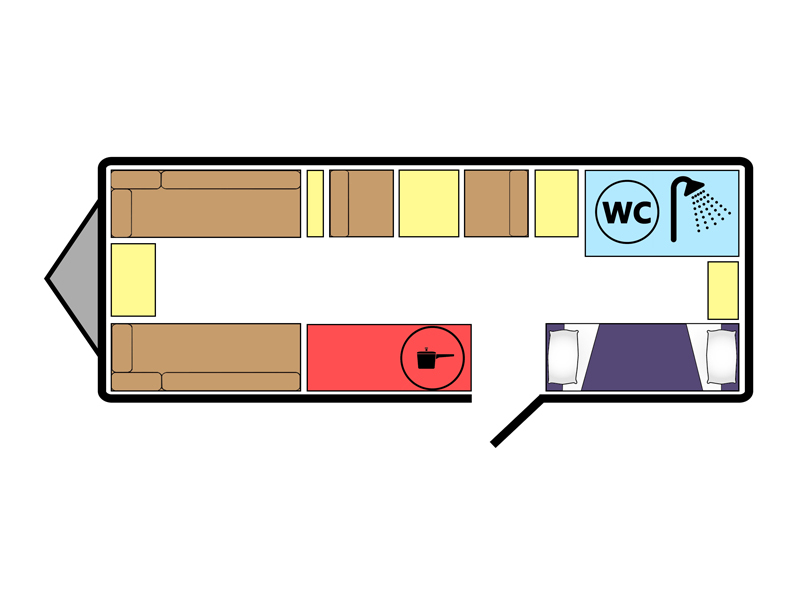 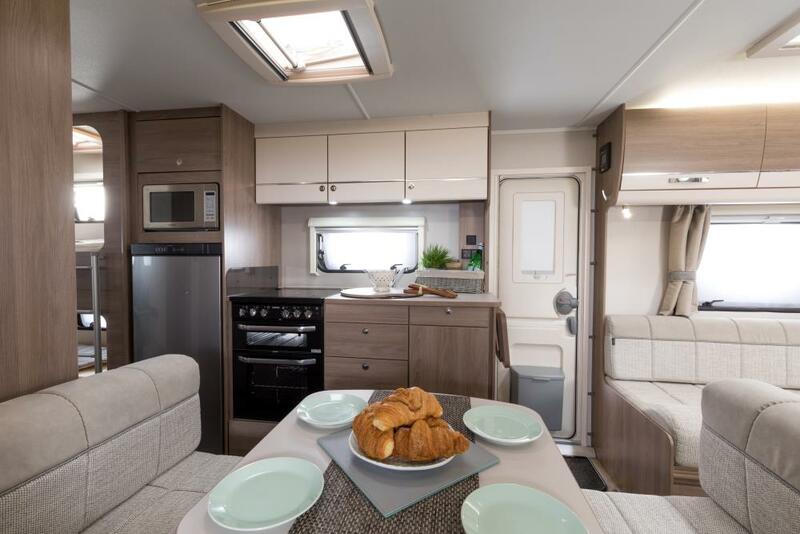 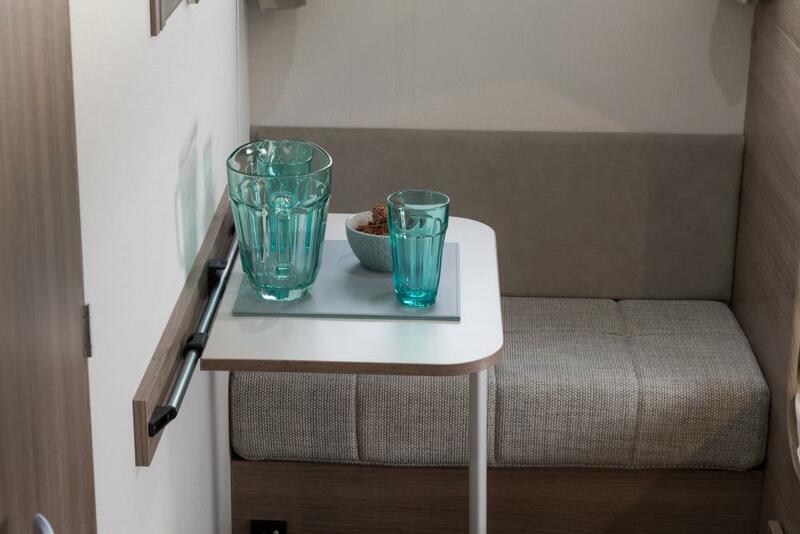 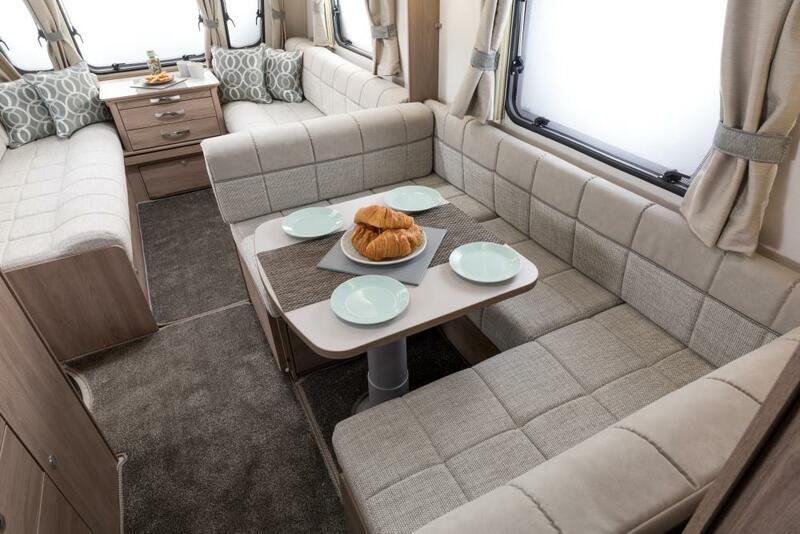 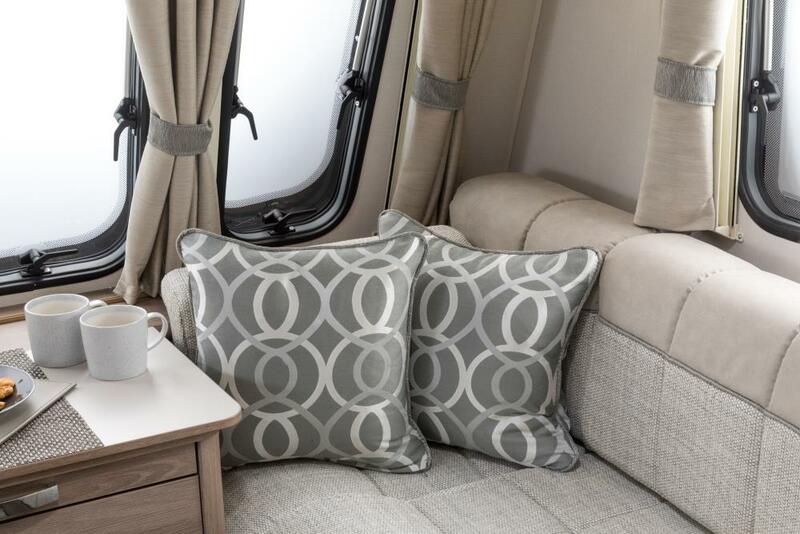 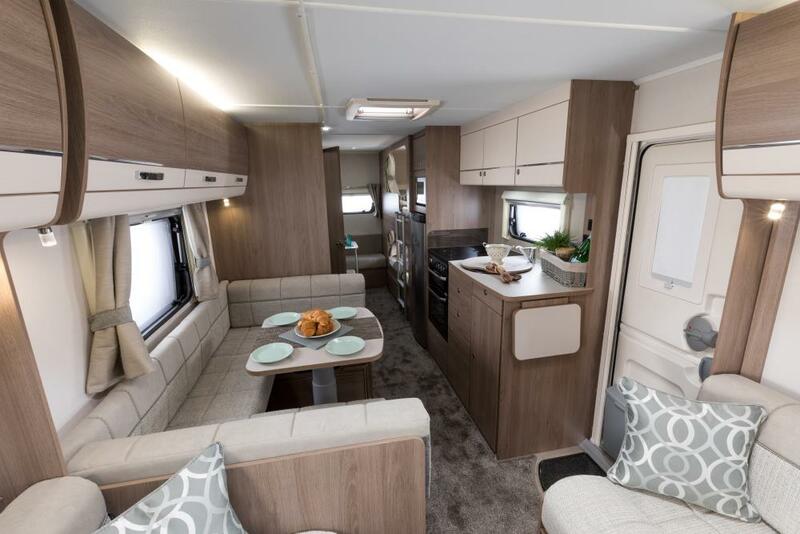 The 8ft-wide 866 layout features family-friendly childrens zone to rear, complete with bunk Pods and dedicated café-lounge / play area. 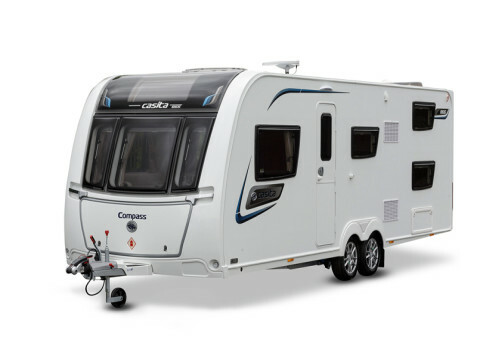 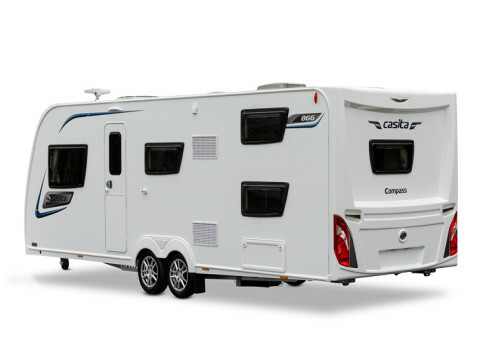 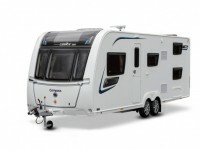 Range includes standard-width and 8ft-wide layouts, AL-KO Chassis with AKS 3004 stabiliser and ATC, StrongLite Aluminium one-piece sides  up to 40% stronger and 30% lighter, Stone-chip resistant front panel, NEW Graphics, Balanced wheels, Spare wheel and underslung carrier, Sky-Scape panoramic sunroof. 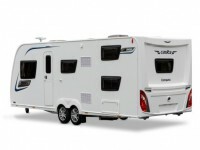 Whale® 4.3kW dual fuel heating - runs on gas, electric or both, Whale® Expanse dual fuel 8L underslung water heater, Whale® iVan® touch screen control, Grade III Thermal Insulation for year-round use, NEW Interior design: Daytona, Aquaclean upholstery  wipes clean with water, OZIO Upholstery  Cool in Summer, Warm in Winter, NEW LED reading lights, NEW Style switches and sockets, NEW Locker door handles, NEW Bathroom accessories and EXTRA towel hooks, NEW Oven and grill, Dual fuel hob, Microwave, NEW EcoCamel water-saving shower, Retractable bed  creating 40cm extra floorspace in daytime mode, Craftsman-built cabinetry with positive locking.